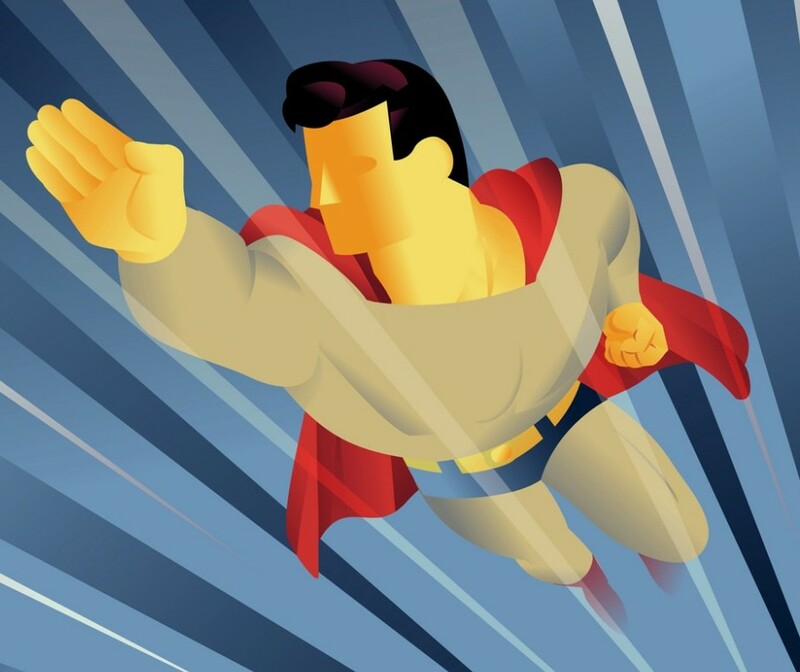 Work – Teach Like a Superhero! A recent Batman comic book story features Alfred Pennyworth, Bruce Wayne’s trusty butler, donning the cape and cowl to be Batman. Below is one page of the comic, and you can find a nifty preview of this scene here, so take a look to see how it plays out. Alfred’s temporary stint as the Caped Crusader prompted website Newsarama to make a top ten list, where they ranked different jobs performed by Batman’s butler. Of course, “butler” was the #1 job. But you’ll also find a range of occupations such as surgeon, actor, spy, super-villain, and more. Detective – Teachers may not solve crimes, but they must investigate, question, and examine evidence from their students’ behaviors and performances in order to make conclusions about learning and lesson planning. Actor – Teaching is NOT theater, but there are certainly times when teachers must add some theatrics to catch their students’ interest and elevate the content. Surgeon – Let’s go with Doctor here to be more general. There’s a reason teachers have to annually renew training on how to deal with blood-born pathogens. Schools have nurses, but teachers often deal with students’ minor injuries on the front lines. Just ask any teacher with playground duty. Father – Alfred has been a “father figure” to numerous heroes. How many teachers have been accidentally called “dad” or “mom” by their students? It’s universally subconscious. I would add even more jobs to Newsarama’s list for Alfred, and argue that teachers also juggle these jobs during a typical school year. Tailor – To put it figuratively, teachers must tailor their lessons to fit students’ needs and standards requirements. Assistant Problem Solver – Alfred has been Batman’s trusty assistant when it comes to numerous bat-cave experiments and analyses. Likewise, teachers “facilitate” learning when they help students think through problems and challenges. Sparring Partner – Sometimes the role of assistant includes acting as an antagonist. Like Alfred (seen here with a young Bruce Wayne), teachers can provide a safe avenue for students to “wrestle with ideas” and face opposition. Comic Relief – Like fighting crime, learning is an endless venture. In addition to all of the jobs needed above, an effective bat-butler/teacher can share a sense of humor to reduce stress and lighten the mood. What other roles does Alfred perform for Bruce Wayne/Batman? What about teachers with their students? How many different jobs do you juggle?